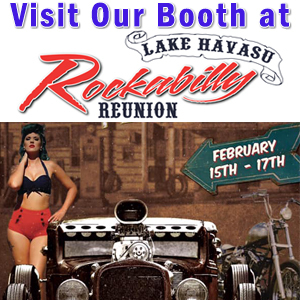 The 11 th Annual Rockabilly Reunion, held in Lake Havasu City, Arizona, will be held February 15-17, 2019. Thunder-Rode Motorcycle Accessories will be hosting a booth at the event, which is popular with motorcycle enthusiasts, car collectors, and pin-up admirers. Look for the Thunder-Rode Motorcycle Accessories booth at the gate. We will be hosting several promotions for the Lake Havasu Rockabilly Reunion event. Want a free gift from Thunder-Rode at the Lake Havasu Rockabilly Reunion event? Stop by Thunder-Rode Motorcycle Accessories anytime between now and the final day of the Lake Havasu Rockabilly Reunion event (February 17 th) to pick up your free gift ticket. Present your ticket at the Thunder-Rode Rockabilly Reunion booth and receive a free gift. You never know what you might get. Feeling Lucky? 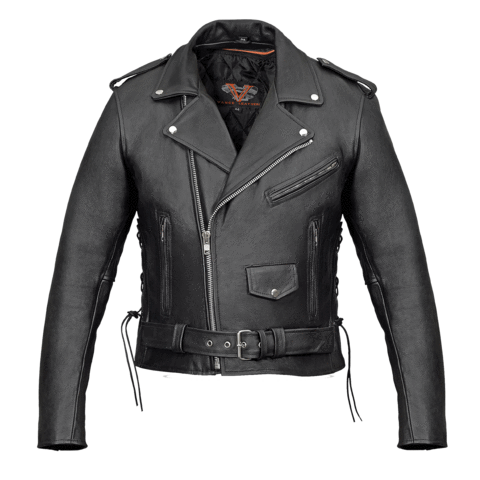 Enter the Thunder-Rode Leather Motorcycle Jacket Giveaway at the Lake Havasu Rockabilly Reunion! 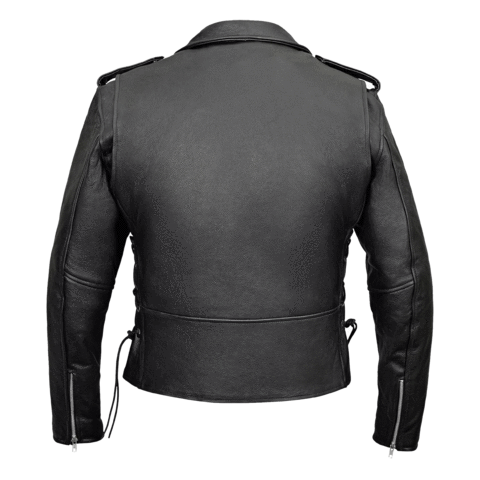 Stop by the Thunder-Rode booth to win this leather motorcycle jacket! During the Lake Havasu Rockabilly Reunion event, February 15-17 th ONLY, Thunder-Rode will have available premium leather vests for ONLY $39!! These leather biker vests retail for $79.95. You won’t want to miss this incredible deal. 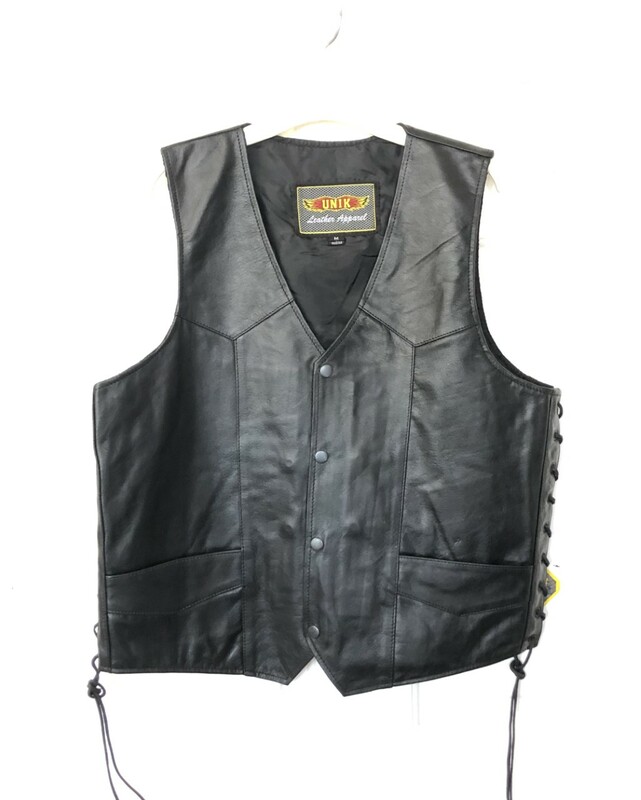 These are Premium Leather Gambler Vests, with or without side laces, featuring outside front pockets and inside deep gun pockets with barrel and ammo sleeves. Don’t miss these amazing deals and giveaways at the Thunder-Rode Motorcycle Accessories booth during the Lake Havasu Rockabilly Reunion. Plus, as a thank you for visiting our booth, you’ll also receive a ticket redeemable at Thunder-Rode, 102 E. Beale Street, Kingman, AZ, for a free thank you item we have set aside for you. It doesn’t get any sweeter than this. Don’t miss us!